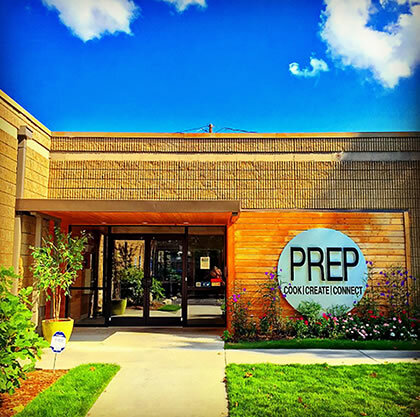 Such growth continues with PREP’s announcement today of expansion plans. The Atlanta-based shared kitchen facility and culinary incubator has acquired 68,000 square feet of space at the office park adjacent to its current facility at 3300 Marjan Drive, near the intersection of Interstates 85 and 285. Plans call for creating a campus-style enviroment for its culinary tenants.The first phase of the development is a $7 million project to convert one of two buildings at the Presidential Commons office park into 33,000 square feet of culinary production space called PREP2. 16 commercial production kitchens for small-to- medium-sized businesses in need of a manufacturing facility, catering or central commissary operations, Jaffe said. 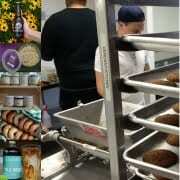 The shared kitchen facility and food business accelerator currently houses 112 small food companies. Members include specialty food producers, catering companies and mobile food service operators. Members are given 24-hour access to food production and storage space. They can also utilize a business center and conference area and save time and money by using PREP’s in-house procurement program to purchase wholesale food and supplies. The culinary industry job count at PREP is estimated to be about 350 jobs. PREP2 is expected to add between 250 and 400 jobs to Atlanta’s culinary industry. PREP was founded by Jaffe, his wife Michele Jaffe, Doug Marranci and JR Santos. It opened doors in June 2014 and is now the largest food truck commissary in the Southeast, having played a role in launching more than 40 food trucks. PREP has also helped in the start-up of 110 locally produced food products and more than 30 catering and prepared meal companies in Atlanta. 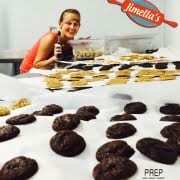 Among the local food businesses who got their start at PREP are Bellina Alimentari and Nine Mile Station. Both companies worked out of PREP for training and menu development prior to opening in Ponce City Market. Other names from Atlanta’s food scene who used PREP as a starting point include Refuge Coffee Company, Wanderlust Coffee, Queen of Cream, Emerald City Bagels, Verdant Kitchens, Real Meal Delivery, Sifted, Homespun ATL and Harvest Soul.